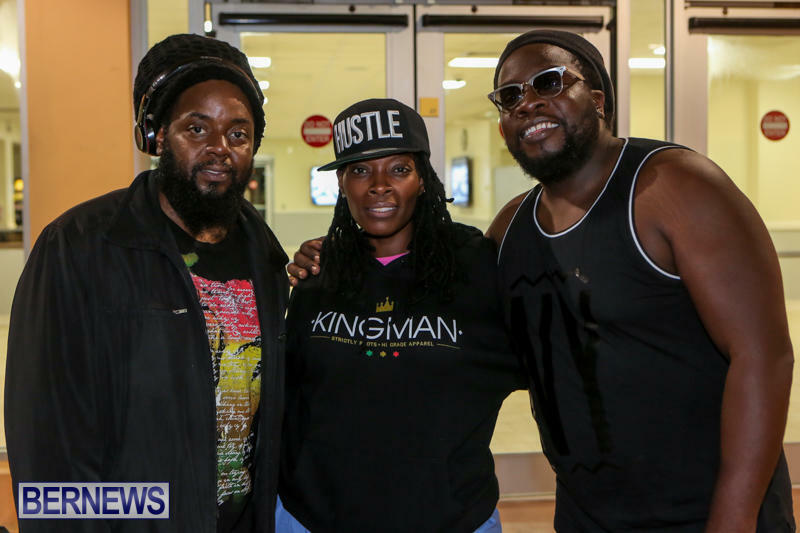 Reggae stars Morgan Heritage arrived in Bermuda this evening [July 24], set to perform at this year’s Cup Match Summer Splash. The roots reggae quintet comprises of siblings Peetah Morgan [vocals], Una Morgan [keyboard/vocals], Roy “Gramps” Morgan [keyboard/vocals], Nakhamyah “Lukes” Morgan [rhythm guitar] and Memmalatel “Mr. Mojo” Morgan [percussion/vocals]. Cup Match Summer Splash will be held July 25 and 29 at Par La Ville Car Park in Hamilton. Gates will open at 8.00pm and showtime will be 10.00pm. The concert will also feature local musicians including Live Wire, Ramone Clarke, Rivah, Juggling Jason, Magic, and 3 The Hard Way. Early bird tickets are $65, general admission is $75, and VIP tickets cost $150. Ticket outlets include Peoples Pharmacy, Somers in St Georges, Makin Waves, Stephane, Sunglass & Watch Shop on Reid Street, Ceasars Pharmacy, Hunts Liquors, Belvins Stores, and bdatix.bm. Nice, but is there a rain venue. Where is the RAIN venue?? put it in bull head,,,too much rain…. Other then a weak dollar , high crime and murder, I will have to agree with you. THIS IS A RAIN, BLOW OR SHINE EVENT. NO RAIN CAN STOP IT – POSITIVE VIBES MUST FLOW. YOU ARE WELCOME TO BRING YOUR UMBRELLAS, RAINCOATS, PONCHOS, ETC. BUT VIP & REGULAR TENTING WILL BE PROVIDED!!! SEE YOU THERE!!! When de lightning flash and de thunder roll, how you mean!!!!!!! Disrespect asking people to stand in the rain after paying that money – different if u don’t know it’s going to rain – should have had it somewhere else. Oh please !